At Sutton Apothecary, we strive to be so much more than a retail pharmacy. We stock our shelves with a wide array of the highest quality natural health care products and deliver prescriptions in a timely and efficient manner, but serving retail customers is only part of what makes us an exceptional pharmacy. At Sutton Apothecary, we are committed to providing professional customer service and outstanding long-term care. For more than 20 years, we’ve enjoyed a close relationship with the long-term care community, providing services to long-term homes. Endeavoring to become your one-stop pharmaceutical source, we offer a comprehensive array of medication and clinical services. To learn more about what we offer, read on. At Sutton Apothecary, we are proud to offer our customers the Dispill medication management system. Dispill is an innovative medication packaging system that provides a straightforward, effective, and safe way to dispense medicine. The Dispill system eschews pillboxes and bingo cars in favor of specially designed cold-sealed, multi-dose packaging. It’s a groundbreaking system that works to help our patients be sure they are taking the right medication at the right dose at the right time. Our knowledgeable pharmacists deliver Dispill-packaged medications in a timely and professional manner. At Sutton Apothecary, you’ll find a full range of pharmacy and personal care products on our shelves. We carry only the highest quality natural products from top purveyors. Our selection includes over-the-counter medicines, vitamins and supplements, and diet and nutrition products. We also carry a range of beauty and skincare products, natural cleaning supplies, and natural snacks. We are constantly updating our selection as we learn about the latest advancements and product offerings. We at Sutton Apothecary know how important your health is to you. That’s why we make it easy to monitor and maintain your health at home with quality equipment and supplies, such as blood pressure cuffs, diabetic testing devices, and heating pads. We know that not all medication concerns and emergencies happen during business hours. That’s why we keep a knowledgeable specialist ready to answer our clients’ phone calls 24 hours a day, seven days a week. If you have a medication-related emergency, we at Sutton Apothecary are here for you 24/7. 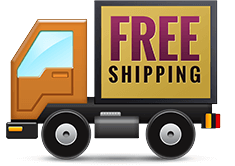 For your convenience, we offer free medication and product delivery throughout the local area, as well as complementary delivery on orders of $99.99 or more. At Sutton Apothecary, we understand how essential it is to understand your medication, from its proper uses to expected side effects. That’s why our expert pharmacists provide counseling on all new prescriptions and repeat prescriptions as required. Our pharmaceutical specialists can offer you explanation of the medication’s purpose, proper administration, special directions for use, proper storage, and refill instructions. We can also help you understand common side effects, potential interactions, and guidance on actions to take given certain outcomes. Still have questions on your medication? Just ask. We’re here to help. Sutton Apothecary is committed to helping our patients manage their personal medications in a manner that is informed, safe, and most beneficial to them. You can call us to book a medication review session, if you are taking three or more medications. Smoking can be a tough habit to kick, but doing so is critical to your long-term health and well-being of those around you. For clients trying to quit smoking, we offer a smoking cessation program where eligible participants can receive free stop-smoking aids. Our highly trained pharmacists offer disease management programs by conducting regular information sessions. In these sessions, pharmacists discuss a specific disease—such as diabetes, asthma, or hypertension—providing participants with the tools, knowledge, and techniques needed to assume partial responsibility for their own care. By striving to coordinate with other healthcare clinics, we aim to provide more safe, appropriate, and effective care. In recent years, Canadian provinces have enacted legislative changes that allow expanded scope of practice for pharmacy professionals. These changes were made to allow us to better assist patients with medication usage and safety. To keep up with ever-evolving legislation, we keep our highly trained pharmacists up to date with the latest high-quality continuing education programs. If you have a medical emergency or immediate questions, feel free to take advantage of our 24/7 telephone number. One of our pharmacists will be available to help you at any hour of the day, any day of the week. You can also explore our website, where you can find a library of information on health, fitness, and nutrition. You’ll also be able to order prescription refills and other products online. We offer delivery throughout the local area, as well as complementary shipping for orders of $99.99 or more. We offer delivery throughout the local area, as well as complementary shipping for orders of $99.99 or more. Sutton Apothecary is fully accredited through the Ontario College of Pharmacists (OCP accreditation number 005397). We’ve helped Georgina residents and visitors fill their pharmaceutical needs for more than 100 years, and we’re confident that we can help you too. Let us be your family pharmacy-come on by and meet our friendly and highly qualified staff. Our pharmacist on duty, Michael Ramzy,will be happy to hear from you and help in any way he can.